Flask Stand are made of Polypropylene. This Flask Stand gives a stair-like top view. Every step provides excellent support to the round bottom flask at every point of contact. This Flask Stand can hold round bottom Flasks up to 10 Ltr Capacity. This Stackable Flask Stand can also be steam autoclaved. 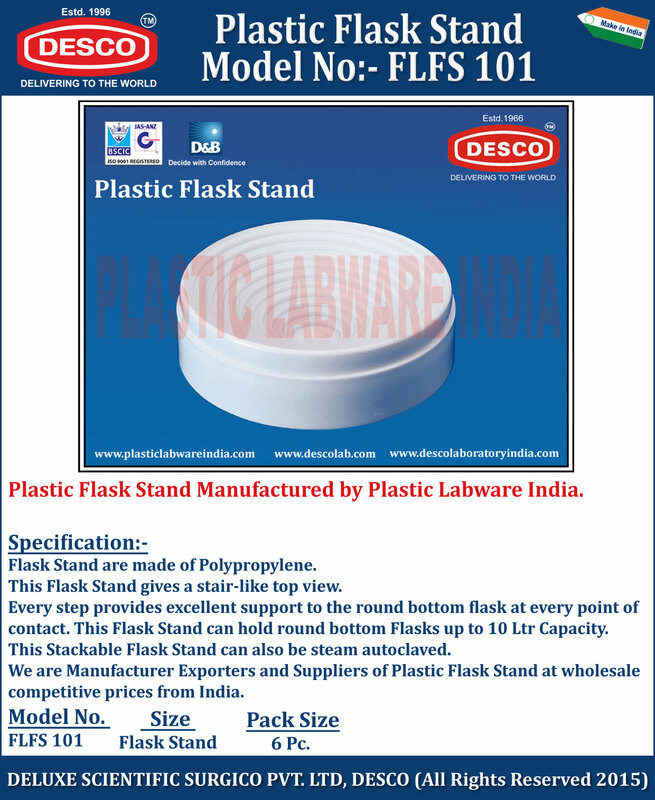 We are Manufacturer Exporters and Suppliers of Plastic Flask Stand at wholesale competitive prices from India. FLFS 101 Flask Stand 6 Pc.